is a fundamental step in any new architectural or restructuring project. In the bathroom, we have many variables to consider: the room is particularly damp, and rather aggressive detergents are used for cleaning. 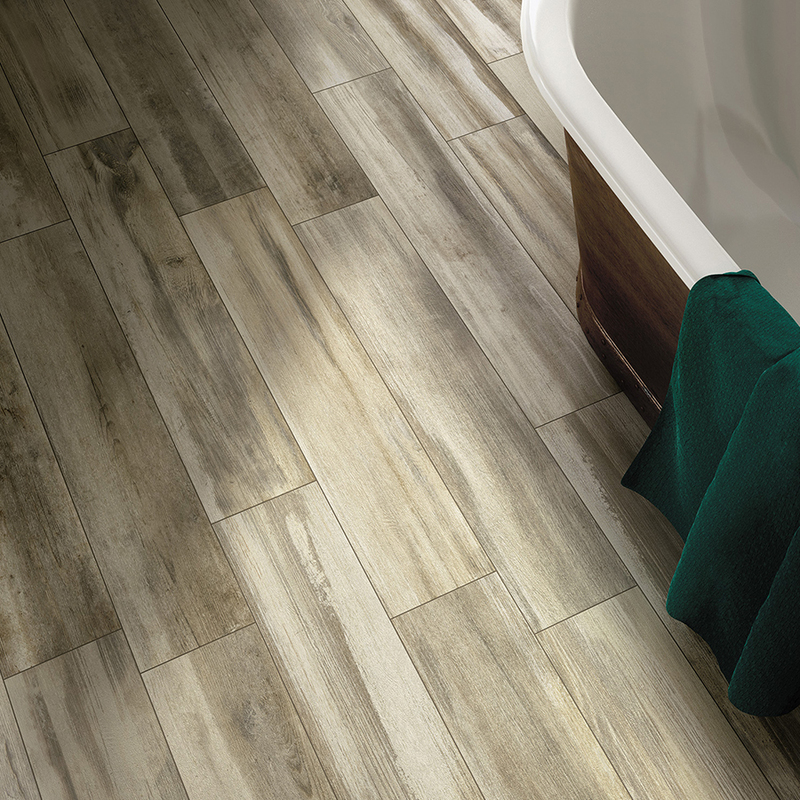 A delicate, yet highly evocative surface like wood meets a new expressive language in porcelain stoneware: today’s wood-look tiles are long-lasting, water-resistant, and the perfect bathroom flooring option. But what possibilities do we have for design and customization? 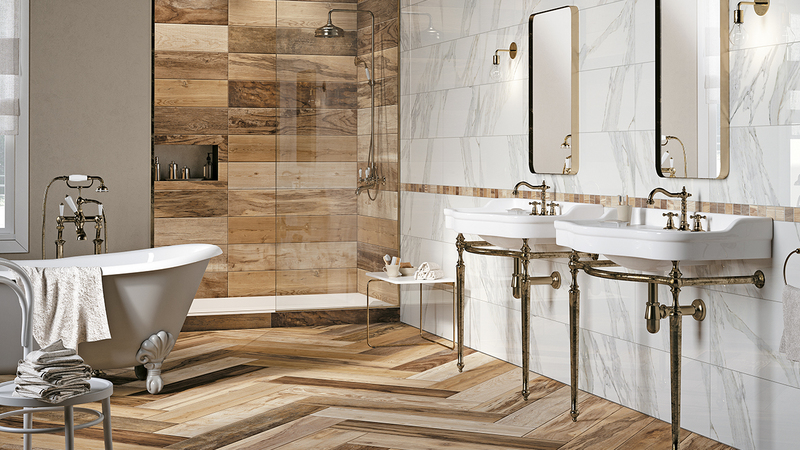 See how you can add the look of wood to your bathroom. 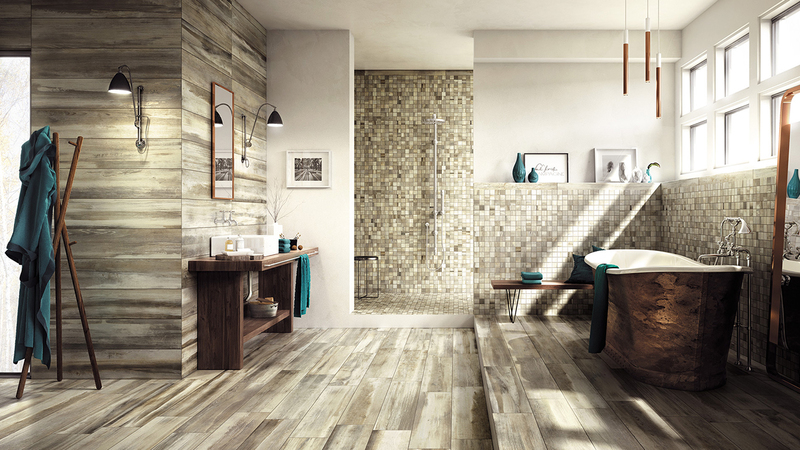 The “rough”, lived-in texture of new Drakkar Collection by Mirage reproduces an imperfect surface that combines nature with the passing of time, to create a truly authentic balance. 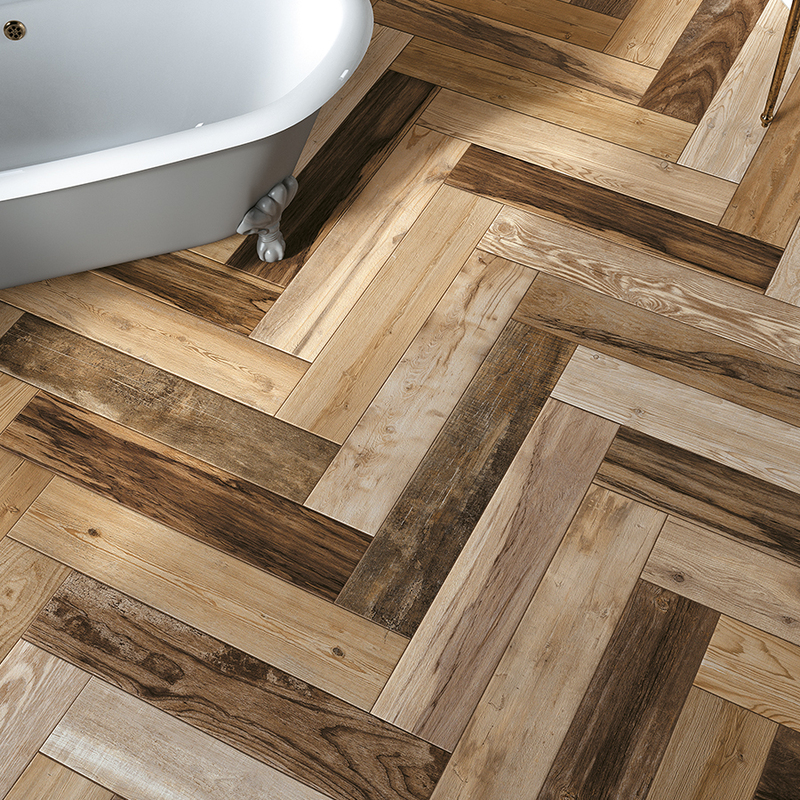 The Collection is made up of various types of wood planks, each with their own history, past and, above all, personal aesthetic qualities. 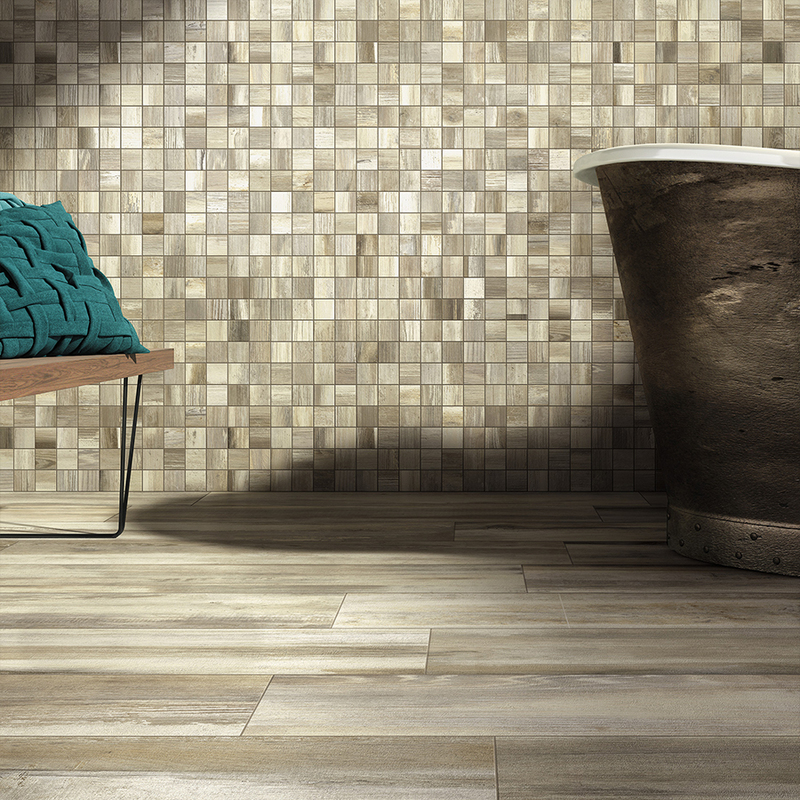 The new Bwild Collection by Mirage is a mix of modern and traditional, with a flavor of far-off lands: several wood options – burnt, oxidized and hand-drawn brushstrokes – combine to create profoundly natural shifts of color. 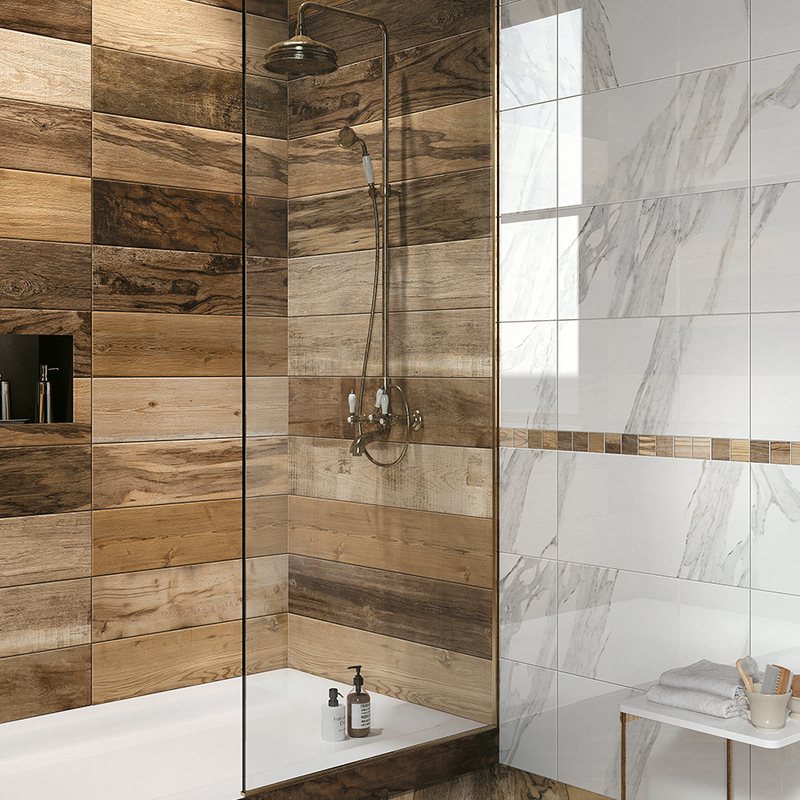 The Bwild Collection by Mirage marks a return to the natural look with a contemporary slant for a smoothly sophisticated style. The creative process turns the natural material into a unique product with ethno-chic inspiration, for delightfully engaging visual effects.